Providing you the best range of servo model injection moulding machine, plc injection moulding machine, plastic moulding machine and fully automatic injection molding machine with effective & timely delivery. 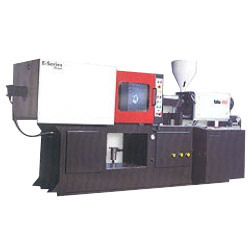 Our organization has gained recognition as a flourishing organization for providing Servo Model Injection Moulding Machine. Compare with normal Molding machine, repeat precision is much better, response speed us faster, energy saving is 20% to 80%, cutting recycle and increasing production. With the precision of the servo motor and the gear pump as well as the high sensitive pressure feedback equipments which composes of the closed loop control, the injection repeating precision can reach 3% capacity. 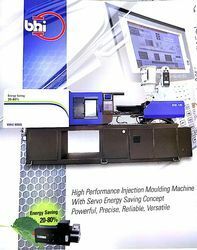 BHI servo model is the ultimate erergy saving injection moulding machine . it is excellent in performance , preparing a high performance servo shift gear power control system.preparing circum rotate encoder and pressure transducer parting the flux and pressure carry through feedback - high performance servo motor according to change rotate speed and torque make out relevant flux of pressure adjustment. For pressure of flux will be given precision closed loop control. Compare with normal moulding machine, repeate precision is much better, response speed us faster, energy saving is 20% to 80%, cutting recycle and increaseing production capacity. it is good for thick and highly precise products which also keeps long economic benefits. The largest out put of servo motor anf gear punp driving system can reach the maximum output within 0.05s. 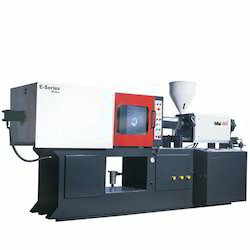 whose response time is much shorter than the traditional hydraulic injection moulding machine. The cycle time is shorten and the production efficiency is improved. In addition the machime less heating enables save of cooling water by 30%, debasing preipheral noise, strengthning stability of the machine, and extention of service life of hydraulic sealing parts and oil to minimize operation and maintenance cost anf meanwhile to meet the strict international enviorment protective policy. With the precision of the servo motor and the gear pump as well as the high sensitive pressure feedback equipments which composes of the closed loop control, the injection repeating precision can reach 3%. The stabilization and the rate of the eligibility has been largely improved comparing with the traditional hydraulic machine. We feel proud to introduce ourselves as the leading manufacturer, supplier and importer of PLC Injection Moulding Machine. Owing to their Auto trip-off facility in case of motor overload, precise fault & interlock indication & low pressure mould protection, provided machines render great usability. Run with energy efficient electric motor, our product is commonly used for molding bottle caps, house hold items, spoons and general plastic molding. Offered machine is manufactured by making use of supreme quality components and the pioneering technology in adherence with the industrial norms. 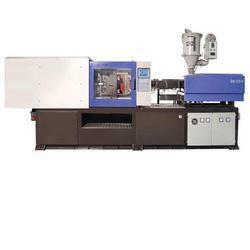 With our immense domain expertise, we are involved in offering Plastic Moulding Machine. The offered machine is manufactured under the guidance of our skilled professionals using high grade components keeping in mind the set industry norms. The offered machine is highly characterized by high resonance PLC, energy efficient hydraulic system and high safety features. Moreover, our offered range can be availed in a wide range of technical specifications as per the requirements of our esteemed clients. With the support of our adroit professionals, we provide our clients a high quality Fully Automatic Injection Molding Machine. Our machine is manufactured using supreme class components and cutting-edge technology in compliance with the set industry norm. This machine is known for its special attributes like reliable working system, robust construction & longer service period. Offered machine has specially designed nitrided steel screw and barrel with long L/D ratio for better plasticizing performance.